Hand-finished with an antique ivory, semi matte glaze, the Fraga Table Lamp by Heathfield & Co will make an elegant addition to a bedroom or living space. Sophisticated and versatile, the onion shaped ceramic form features delicate fluted detailing and silver fittings. This timeless table lamp looks beautiful styled with brushed metallics, natural wood and contrasting textures. Shown here with a birch glaze shade, a wide variety of luxury fabric and colour options are also available. Get in touch with our team of experts for more information. 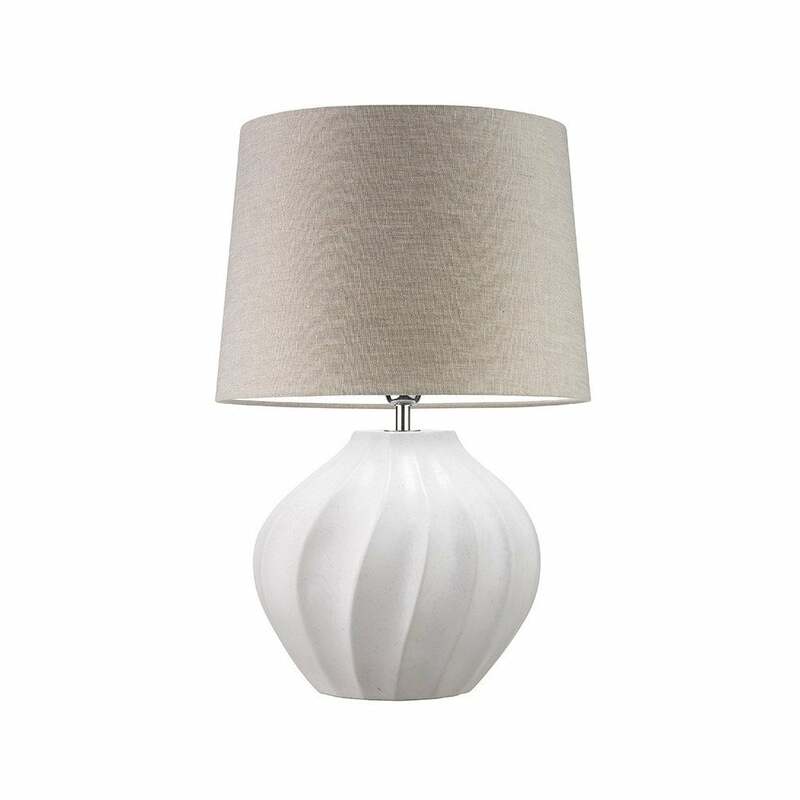 Priced for 16" Fraga Drum shade in silk with white PVC lining. Please contact us for other options.